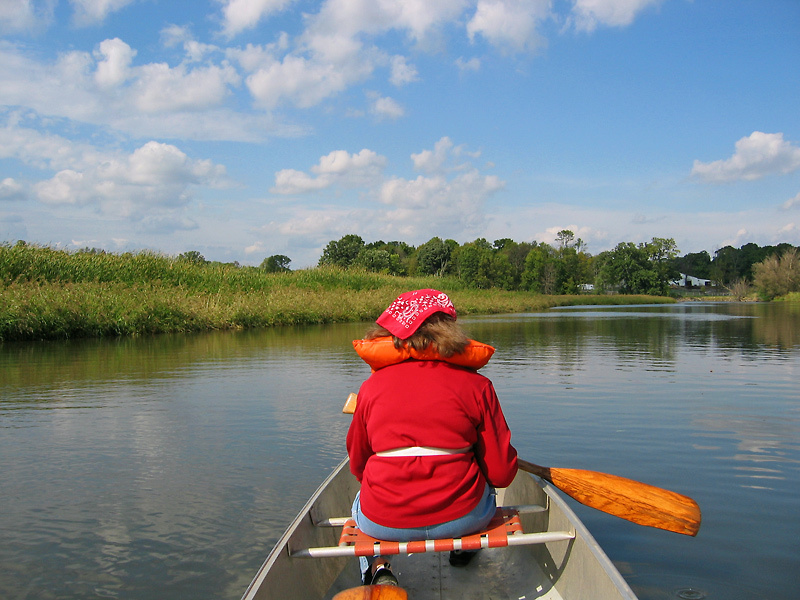 The Fox River canoe trip flows through mostly marshy areas, but also farmland, and occasional houses can be seen. Select this link to get canoe trip information for th Southeast Fox River Area. The Fox River canoe trip was 7 miles (4 hrs) from Mukwonago to Big Bend Wisconsin. The trip was started at the bridge crossing the Fox River on county road ES (National Ave). The take out point was at Big Bend Village Park. There are no dams and we encountered no other hazards. It’s a very windy river that flows through mostly marshy areas, but also farmland, woodland, and occasional houses can be seen. Some of the area is for wildlife preservation. Birds, including Great Blue Heron, Green Heron, a pair of Sandhill Cranes, Kingfishers, Swallows, Martins, Lesser Yellowlegs, Killdeer, Red Winged Black birds, and hawks can be seen. Also encountered were several fish jumping, turtles, a muskrat, and deer.